Dale A. 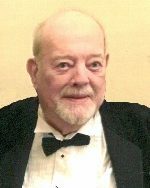 Towers, 77, of Freeburg, IL, born November 8, 1940, in Belleville, IL, died Friday, November 2, 2018, at his residence, surrounded by his loving family. Dale, affectionately known to many as “Uncle Dale,” was the President of Towers Fire Apparatus in Freeburg before his retirement and always treasured the many relationships he built with area fire departments. He was a former member of the Freeburg Fire Department and an honorary member of the Columbia Fire Department, Columbia, IL. Although fire trucks were his passion, he was happiest while hunting, fishing, or playing golf. He was an avid outdoorsman and a life-sponsor of Ducks Unlimited where he made many lifelong friends. A zealous defender of the 2nd amendment, he was also a longtime member of the National Rifle Association. In his later years, he enjoyed sitting on the patio of the home he shared with Brad and Kim, visiting with friends and family while watching the many deer that visited his property. Dale took great pride in being one of the founding board members of both Citizen’s Community Bank and the Freeburg Care Center. He was also a member of St. Joseph Catholic Church in Freeburg and served his country as a member of the United States Air Force Reserves. Dale was preceded in death by his parents, Eugene and Madelle, nee Boehmer, Towers; and a sister, in infancy, Charlene. and his canine companion, Orson. In lieu of flowers, memorials may be made to the Belleville Area Humane Society. Condolences may be expressed to the family online at www.rennerfh.com. Visitation: Friends may visit from 4 to 8 p.m. Wednesday, November 7, 2018 and from 10 to 10:45 a.m. Thursday, November 8, 2018 at George Renner and Sons Funeral Home, Freeburg, IL. Funeral: Procession will leave the funeral home at 10:45 a.m. Thursday, November 8, 2018 for an 11 a.m. Mass of Christian Burial at St. Joseph Catholic Church, Freeburg, IL, with Fr. Mark Reyling officiating. Burial will be at St. Joseph Catholic Cemetery, Freeburg, IL. Brad & Kim &family, I am truly going to miss Dale as a friend and as a businessman. He and I shared some great moments at the Care Center meetings. I could second his motions before he made them.One great person!!!!!!! . The QEM Fire District sends it condolences and prayers to the family during this time. May he rest in peace. Iowa Ducks Unlimited sends heartfelt condolences in the loss of Dale. He (and his orneriness) will truly be missed by his DU family. We are thankful he is no longer in pain. My condolences to the family. I was Dale's neighbor as a kid... His passion for fire trucks was BIG !!! My deepest regrets to his family. Dale was one of the nicest persons. May he rest with God. Bill Boden (Former classmate).